Point2 Homes gives you far more than a simple list of houses for sale. Get instant access to a lot of relevant information about Downtown Edmonton, Edmonton, AB real estate, including property descriptions, virtual tours, maps and photos. The search results pages also have a wealth of information on Downtown Edmonton, Edmonton, AB, if you scroll all the way down. There are 147 houses for sale in Downtown Edmonton, Edmonton, AB. 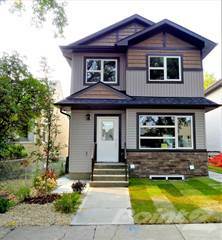 Searching homes for sale in Downtown Edmonton, Edmonton, AB has never been more convenient. With Point2 Homes, you can easily browse through Downtown Edmonton, Edmonton, AB single family homes for sale, townhomes, condos and commercial properties, and quickly get a general perspective of the real estate prices. Also, you’ll never miss a bargain if you filter listings based on house price drops in the past six months. Use the map view to find Downtown Edmonton, Edmonton, AB homes and apartments for sale, based on amenities or city features that you may want close by. You can close in on a specific neighbourhood or area by simply drawing around them with the polygon or radius tools. Stay informed about the latest entries on the real estate market by saving your searches. This way, you get new listings in your inbox, daily or every week, based on your preferences. If you’d like to get in touch with a professional, agents are displayed next to their listings, and they’re easy to contact through the online forms. If you want more options, you can click the Tools tab and Find an Agent, and you’ll get a list of helpful and knowledgeable real estate agents in Downtown Edmonton, Edmonton, AB. Visit the Point2 Homes blog and you can find up to date expert advice on many markets throughout Canada, regular market reports, neighbourhood scoops in cities throughout the provinces, real estate deals and useful recommendations. Downtown Edmonton is going to be one of the fastest growing areas in Canada over the next decade or so. With construction of the new arena district commencing, along with other major building projects, the neighborhood is set to become a booming and thriving area. The centerpiece of the new Arena District will be Rogers Place which will become, when completed in 2016, one of the nicest and most state of art entertainment facilities in the world. Also in the area will be the Stantec Tower which, according to rumors, could be as high as 75 floors; when completed it will be the tallest building in Canada West of Toronto. In addition to these exiting new developments this central district has a lot to offer. It is a relatively quiet and uncongested downtown core. It comes with a great selection of restaurants and entertainment. Churchill square, situated in the center of Downtown Edmonton, is known for its year round festivals and is a big reason Edmonton, Alberta is called “the festival city”. Downtown Edmonton is the urban center of the city. Though it isn’t as filled with skyscrapers as Toronto or has as many high rise condo complexes as Vancouver, it is still a vibrant place with plenty of great architecture. It has a thriving art scene which is highlighted by the Citadel Theater and the Alberta Art Gallery. This leads to a more artistic atmosphere as compared with others city centers. The neighborhood has a lot of variety. It contains some of the most expensive and finest restaurants in Canada, like Tavern 1903 and Corso 32. Nonetheless it also has plenty of more affordable places along with plenty of cultural flair; for example the bustling Chinatown and Little Italy areas. As with restaurants entertainment choices range from expensive theater productions to much more affordable free street entertainment; like for example during the street performers festival. As a whole the atmosphere is lively, creative and artistic. It also promises to get more vibrant in the near future. The Citadel Theater offers an excellent showcase of plays and musicals. Next door is the Alberta Art Gallery which has a wide array of varying exhibitions. Edmonton City Center Mall also offers one of the largest cinemas in the city for lovers of the big screen. There are also a multitude of festivals throughout the year that go on in the area. The street performers’ festival is one of the biggest in the world and offers great cheap entertainment. The Works is an art festival that allows artist to showcase their conceptions. There are also exciting entertainment options like the Caribbean and Winter Festival. Well not slated to be completed until 2016, one really needs to mention the new Arena District. As already mentioned, this will be a state of the art facility right in the heart of the Downtown that will offer year-round entertainment. Downtown Edmonton has a lively real estate market; there are currently many new condo complexes being constructed. The price range on a Condo downtown is large. As for houses, the neighborhood’s tend to be older and often have brick facing. There are some really gorgeous areas in the river valley, like the Riverdale area, that almost feel as though you are no longer in the city even though you are just a 5-minute commute away. This is a unique benefit of this area but expect to pay for it. The prices in these areas are usually at least $1 million and can be as high as $5 million. There are plenty of other areas close to Downtown that are not as secluded and quite a bit more affordable. Downtown Edmonton is much less polluted when compared to most downtown cores. 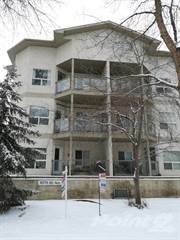 It is surrounded by a large greenspace with the North Saskatchewan River Valley and its many ravines. The downtown core of Edmonton also doesn’t have the busy commuter traffic of other downtowns like Toronto or Vancouver. With that said, it still has its share of pollutions and noise like any downtown of a major city. Like most downtown cores, there are certain areas that are of concern. According to the Edmonton Journal, 50% of violent crimes in Edmonton occurred downtown but 50% of those occurred in a very small area. There is a radius of about two square blocks that is home to many outreach services like homeless shelters and addictions facilities that is particularly over represented in crime statistics. The general rule is: if you stay out of this small area at night, crime shouldn’t be more of a concern than it would be in a residential neighborhood. Downtown Edmonton is home to a variety of public, chartered and Catholic schools as well as colleges and universities. There are plenty of alternative schools in the area that makes it well adapted to just about every ones needs. The largest school in Downtown Edmonton is Grant McEwan University. This is a post-secondary institution that has many degree programs and is also excellent for adult upgrading. There are also plenty of schools like CDI College which offer interesting technical classes. 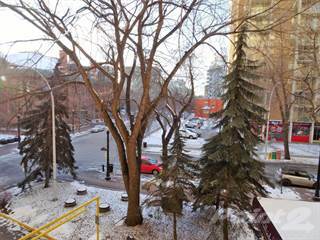 Downtown Edmonton is also very close to the University of Alberta and NAIT (Northern Alberta Institute of Technology) which makes it a great location for anyone looking to further themselves through secondary education. With regards to primary education, there are options on the outskirts of the downtown core. Victoria School for example is an excellent K-12 school that gives students a unique opportunity to focus on performing and visual arts. With that noted there are not many families living right downtown so there are limited public schools. Public transportation as a whole is not one of Edmonton’s strongest points nonetheless the downtown neighborhood has excellent public transportation. The main street that runs through Downtown Edmonton is Jasper Avenue and below Jasper Avenue runs the LRT (Light Rail Transit System). The LRT serves as a hub to the North and South of Edmonton. On top of this, Edmonton offers plenty of bus services that run downtown and branch out all over the city. Downtown Edmonton is home to a lot more young couples and single people than most areas. The easy access to secondary education leads to a lot of young students in the area. While people tend to move away from the area when they have children, there are certainly pockets of family areas in the neighborhood and it is not a bad place to raise kids. As mentioned, there are a few secluded areas in the river valley that are minutes from Downtown but offer a much more family friendly atmosphere.